Universal Audio has announced Apollo, a high-resolution audio interface that combines UA’s analog design heritage with esteemed UAD Powered Plug-Ins in a sleek, elegant recording system for Mac and PC*. 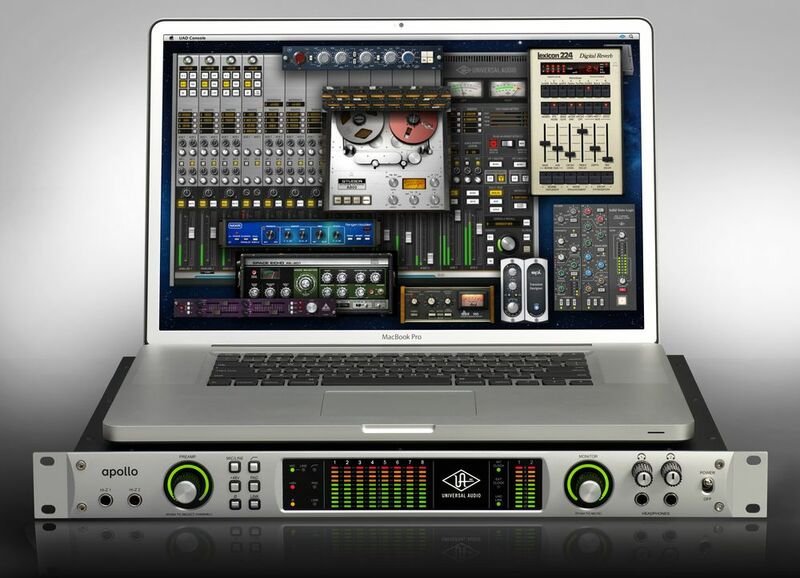 With Apollo, music producers and performers can finally track through UAD Powered Plug-Ins in real time, via a professional 18 x 24 FireWire/Thunderbolt -ready audio interface that delivers class-leading 24-bit/192 kHz sound quality. Apollo is, first and foremost, a well-built, high-resolution audio interface, featuring premium mic preamps and top-end converters to deliver the lowest THD and highest dynamic range in its class. 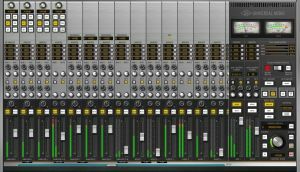 Its Core Audio and ASIO* drivers ensure compatibility with all major DAWs, including Pro Tools, Logic Pro, Cubase, Live, and more. 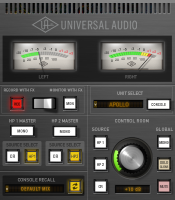 Moreover, Apollo’s Console application and companion Console Recall plug-in (VST/AU/RTAS) provide control and recall of all interface and UAD plug-in settings within individual DAW sessions, even months and years later. Apollo differentiates itself from all other audio interfaces, however, via its onboard UAD-2 DSP Acceleration. This onboard processing allows for recording through UAD-2 Powered Plug-Ins — with nearly instant sub-2ms latency — so that music producers can quickly monitor, audition, and “print” audio using a wide range of popular analog emulation plug-ins from Ampex, Lexicon, Manley, Neve, Roland, SSL, Studer, and more. ** In this way, Apollo’s sonic character and tonal options are virtually limitless. 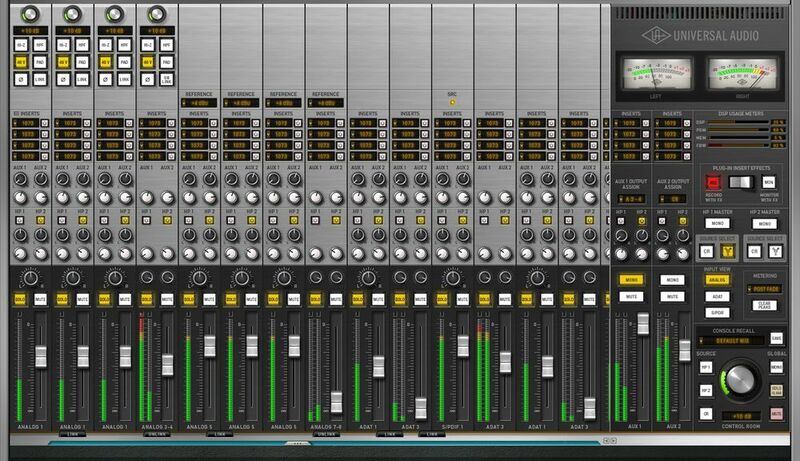 The onboard UAD-2 processors are also available for mixing and mastering, offloading processing from the host computer. Notably, Apollo offers compatibility with Intel’s new Thunderbolt technology, as found on the newest iMacs, MacBook Pros, and MacBook Airs. Available via a user-installable Thunderbolt Option Card (sold separately), Thunderbolt provides lower latency, reduced audio buffer size, improved performance at high sample rates, and greater UAD plug-in instances versus FireWire. 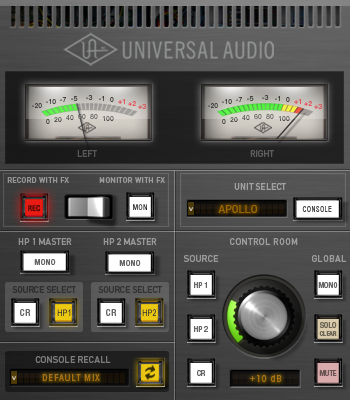 Apollo incorporates numerous design hallmarks from classic UA analog gear, including its fast, easy workflow. Dedicated front-panel controls are present for all the most common features, including preamp gain, channel selection, mic pad, +48V phantom power, low cut, monitor level, and dual headphone controls. 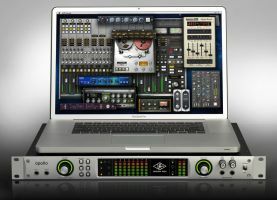 Apollo’s connectivity includes 4 digitally controlled analog mic preamps, 8 balanced line inputs and outputs, dual front-panel JFET DIs, digitally-controlled analog monitor outputs, 8 channels of ADAT, 2 channels of S/PDIF, word clock I/O, FireWire 800 (standard), and a Thunderbolt expansion bay — making it a well-equipped centerpiece for the modern project studio. The Apollo High-Resolution Audio Interface will be available in both DUO CORE and QUAD CORE processing formats (with either two or four Analog Devices SHARC processors, respectively). Apollo will be shipping in the first quarter of 2012, with an estimated street price of $1,999 (DUO processing model) and $2,499 (QUAD processing model). Apollo’s Thunderbolt Option Card will be shipping in the first half of 2012, with pricing TBD. *Compatible with Mac OS X 10.6 and 10.7; Windows 7 support coming Summer 2012. **Individual UAD Powered Plug-In titles are sold separately at www.uaudio.com/store. Pricing is preliminary and subject to change.